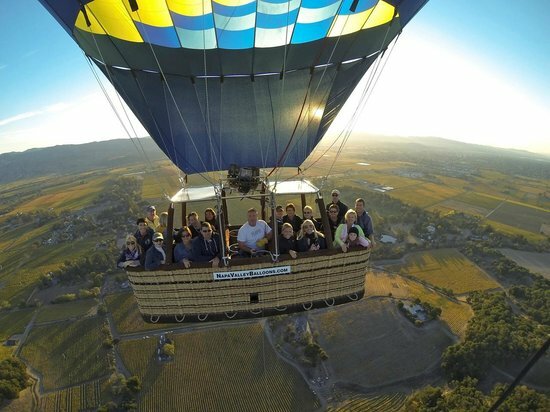 Join a small group of your Compass friends for a hot air balloon ride in the beautiful hills of Napa Valley. We’ll be staying at a beautiful BNB in downtown Calistoga (check it out here). We’ll do family around the table eating a yummy dinner and playing games. Our 2nd day will be all about the Hot Air Balloon ride which includes a group picture, brunch and a celebration after the flight. Come fly with us! Max number of people: 20 (this is the max # of people that can fit into the balloon). Must be able to climb into a hot air balloon basket with minimal assistance and stand for the duration of the flight. Expecting Mothers are not permitted to fly and children must be 8 years or older.